Sarcastic Tone: Nothing makes for better television than political conventions. Despite the tone, there are several takeaways the business event planners should really take to heart, and both US political parties did fairly well. 1. Your target audience is OUTSIDE the hall. The cardinal sin of a conference, be it SXSW, DMA or My Little Pony Con is that there are a LOT more people following the hashtag using social media than could fit inside the hall. Create and light your venues for social sharing, facilitate a short hashtag have keynote speakers that speak in “tweetable” takeaways and have a social media listening post AND engagement team. 2. Feed the Vampire! If Content is the “Life Blood” of social media, Feed the Vampire! Create video, text, photos and other content that is not only made to share, but people WANT to share. Shake-off that part about selling – that is out-of-bounds. Your focus is in the awareness and nurturing stages of the marketing funnel. This means not just having a social media team during the event, but to that lead up to the event. The team must engage with users, be subject matter experts, need strong business savvy, as well as a knowledge of FTC disclosure rules. Social is not easy. With apologies to Tom Hanks and Geena Davis, if social media was easy, everyone would do it well. You want to learn to reach these people, your potential advocates, in a way they want to communicate. And that often means making your content ready for all mobile devices. 3. Measure N Tweak. Measure everything, analyse quickly and DO NOT mix up correlation and causation. 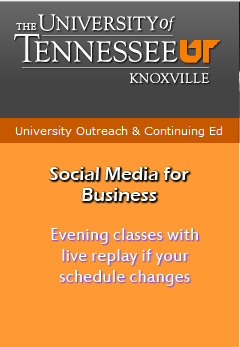 Find out what works on which platform (Facebook, Twitter, LinkedIn, Pinterest, Google+). Have a great big command center monitor with a good measurement tool running. Build on content that works. Test new ideas. Fail fast. Succeed fast. 4. Bonus: Don’t forget online ticketing tools. Eventbrite is a great low-cost way to get some early buzz, ticket sales, social capital and numbers. 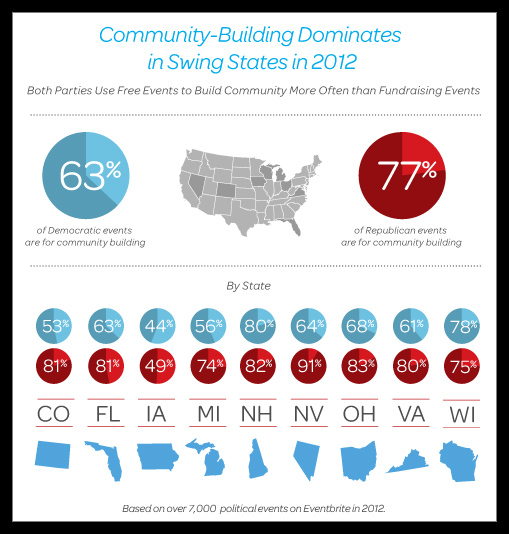 In this case, Eventbrite release its own numbers around political events in the US (September 5, 2012). So even data becomes content. A good fourth lesson. 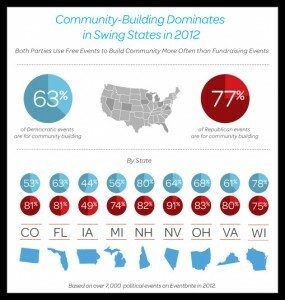 More Eventbrite political data is available at http://eventbrite.com/politics.